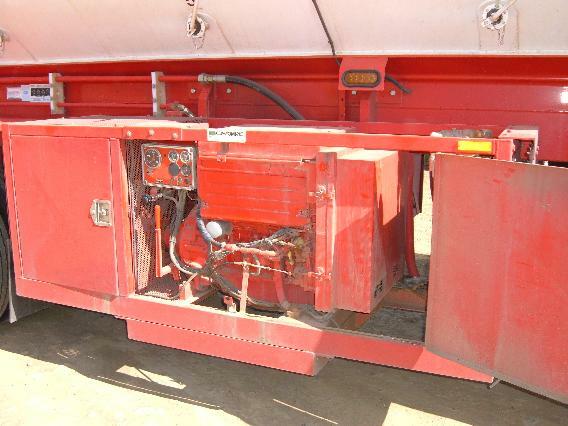 Customvac P/L a well-known Toowoomba based manufacturer of transport and transfer equipment for various types of stock and hatchery feed recently assembled and commissioned the first purpose built tanker in Australia for Feed Delivery. The state of the art drive and delivery system that is used to make this tanker the most modern and efficient in Australia is powered by a DEUTZ BF4L2011 Whisper Engine which is rated at 55.1 Kw @ 2800 rpm. This engine was selected due to its serviceability, lower noise level and Australia wide dealer network, which provides excellent product support. The DEUTZ BF4L2011 Whisper Engine is light weight and so contributes to an exceptional tanker/engine weight of only 7.8t. This low tare weight is an important aspect for the transport industry. 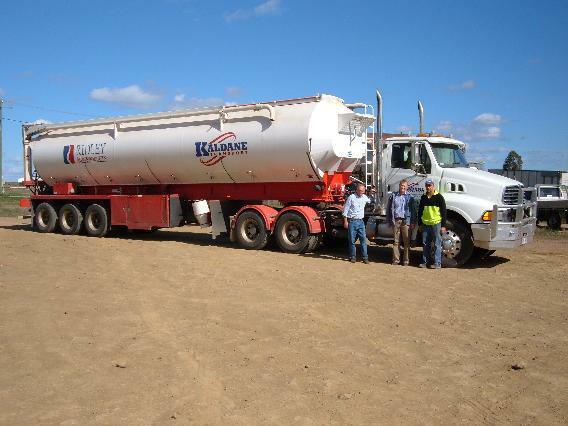 The truck/tanker combination pictured has been in operation for 3 months and is proving to be a very efficient and reliable method of feed delivery for Mr. Murray Tew of Kaldane Transport. weather proof Murphy Engine Protection system. Pictured with the tanker L-R: Scott Brown (Driver), Ross Burling (Customvac), and Robert Drinan (Kaldane Transport, Operations Manager).